Have you decided on the Lowepro ProTactic Brand, but not the model? Compare the Lowepro ProTactic 350 vs 450. Anyone who is into photography as a hobby or runs a photography business will know that the sheer amount of equipment required can become excessive. A camera backpack can be an efficient means of transporting the various attachments and other bits of equipment and keeping them safe and secure from breakage. Although shoulder bags exist for the same purpose, they are generally much smaller and more suitable for the casual photographer; fitting a DSLR with additional lenses into a shoulder bag is no easy feat. 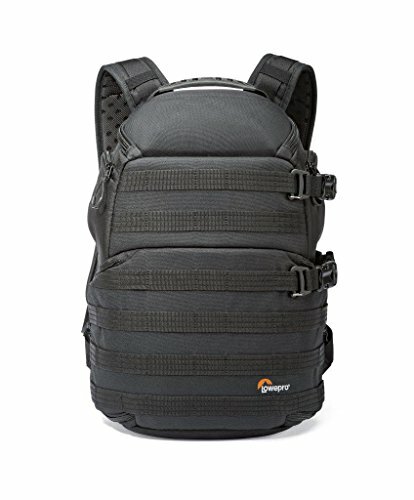 The ProTactic 350 Camera Backpack is well suited to those who are looking for their first camera carrying bag, with plenty of space to store the essentials, as well as a space for a notebook or small laptop in case photo editing is a requirement. This bag is best suited to those who are primarily focused upon the pure photography aspect of the job or hobby, but who do not have the requirement to carry reams of paperwork or other such items. If a single DSLR with several lenses is sufficient to do the job, then there’s no need to heave around the additional space provided by a Lowepro ProTactic 450 AW bag; the Lowepro ProTactic 350 AW will provide everything the photographer needs. Considering that the backpack also conforms to carry-on luggage restrictions on airlines, these features make it the ideal backpack for transporting camera equipment abroad. If we had to name one limitation to the 350 AW backpack it is that laptops with a screen size greater than 13” are very common amongst those who use them for video and photo editing, though the Lowepro Protactic 350 AW will only support a notebook or laptop with a screen this size or smaller. The ProTactic 450 AW Camera Backpack is a little larger than the 350 AW model, which is reflected across the rest of the product. Whereas the 350 AW baselines itself as being capable of carrying 1-2 Pro DSLR cameras, with one having a 24-70mm f/2.8 lens attached, the 450 AW makes additional room, supporting the same setup, but with a 70-200mm f/2.8 lens attached. What's more, it makes space for a quadcopter drone and handheld tripod module, as an example of the extra space inside. For many photographers, their trusty DSLR cameras will be sufficient. However, for others who like to shoot weddings or natural scenes, or who provide professional services such as construction surveying for example, specialist equipment such as aerial drones or handheld tripods may be required. Though these won’t fit alongside a DSLR camera within the 350 AW backpack, the Lowepro Protactic 450 AW model easily accommodates their inclusion. What’s more, user experience dictates that quick access to a stored DSLR camera is easier from the larger model, the 450 AW, meaning that photographers are less likely to miss a shot when time is sensitive. The Lowepro ProTactic 350 AW and Lowepro ProTactic 450 AW are different models that are suited to different purposes, as opposed to being older or newer versions of one another as numbering conventions often suggest. Owing simply to increased dimensions and carrying capacity, the 450 AW is the heavier and more spacious of the two camera backpacks. The bottom line is that the 350 AW backpack is well suited to beginners who are looking for the ability to easily carry their equipment with protection from breakage or the elements. Conversely, the 450 AW is perhaps more suited to those who require a larger range of equipment, or space for a bigger laptop and documentation. You can also checkout my review of the Lowepro 250 AW camera backpack here. Camera backpacks will generally be made out of waterproof, or at least water-resistant material, to help ward off light rainfall. As would be expected, the protection won't extend to submersion in water, but there are separate camera accessories for this purpose. 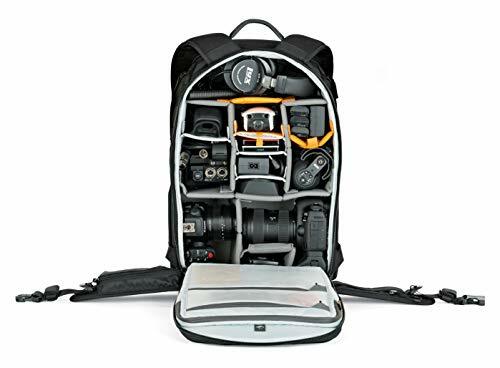 Many camera backpacks will separate out the internal storage into compartments, creating easily accessible sections in which to store specific equipment. Not only does this increase accessibility, but it also offers padded support for the more delicate items. Shoulder bags only have a single strap, and thus any extensive amount of equipment is going to result in a large amount of strain placed on one shoulder, which is not good for posture. Conversely, a camera backpack has double shoulder straps, which help to spread the load across both shoulders, making it not only more comfortable, but less likely to impact on health, and easier to carry long distances. Lowepro are often considered to be one of the top players when it comes to the production of gear designed for carrying cameras and camera equipment. Thus, we’ve put together this comparison of two of the better products offered by this manufacturer.